On Thursday 22nd October, the Lords held a short debate on Lyme disease in Grand Committee. To ask Her Majesty’s Government what action they are taking to combat Lyme disease and other tick-related illnesses. 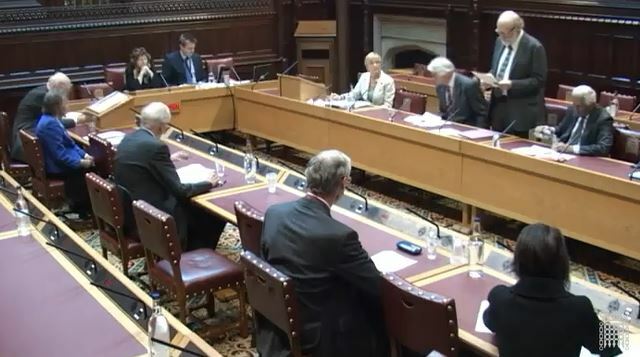 Prior to the debate LDA had issued a House of Lords Briefing, providing sections on basic facts on Lyme disease, what has made Lyme disease contentious, what has been achieved in the last 2 years and what needs to be done. This last is LDA’s proposed 5 point action plan. Tabled by Lord Geaves, this debate attracted 8 speakers all with a personal interest. The debate had to fit into a 60 minute slot so with a 10 minute opening speech and a 12 minute response from the government Minister, each Peer had just 4 minutes to make their points. The video recording of the debate is available through parliamentlive.tv – those wanting to reduce broadband usage, can switch to audio only. The Hansard transcript is also available. “A big theme in the contributions from noble Lords has been the need to raise awareness, not just with the public but with GPs and clinicians. However, having access to literature on Lyme disease does not mean that it is read. LDA said in the briefing note that “The current level of knowledge in the NHS is appalling. Doctors do not understand the tests, the epidemiology or the disease itself.” Improved awareness and improved education of specialists regarding the complexities of Lyme disease and the limitations of current knowledge in this field is a vital step towards improving patient care and safety.